A great Halloween tradition is picking your favorite franchise of horror films and marathoning them with your friends. 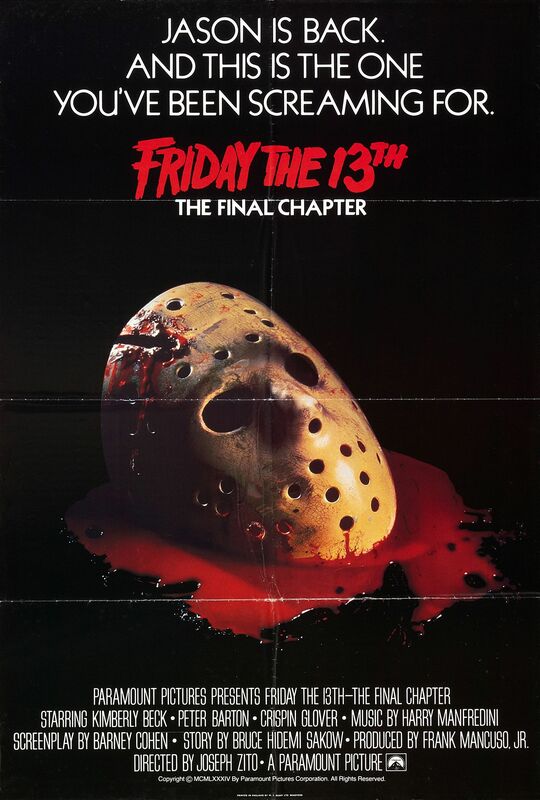 Everyone likes to debate which entries are better than others, and many like to come to the defense of less beloved sequels (where my Friday the 13th: A New Beginning supporters at?). But, what about all the scary sequels you didn’t get to see? Let’s take a look at some of the greatest horror movie sequels that almost were but never happened. Think of this as a ghost story about undeveloped movies. The Friday the 13th series has taken a lot of weird and wacky routes over its twelve installments. From fighting Jason Voorhees to the depths of space, the hockey-masked killer is never one to shy away from a different interpretation. But, some ideas seemed to stray a little too far from home base. After the 2009 reboot from director Marcus Nispel, the series got held up in development hell. An immediate follow-up was going to give us something we hadn’t seen before: Jason killing folks during the winter. It would’ve been a big scenic departure for a franchise that defined the summer camp slasher, but it might have been a welcome change of pace. When that sequel fell apart, another approach was considered: found footage. Yes, Paramount wanted to jump on the bandwagon after seeing how much money such ultra-low budget productions were raking in at the box office. But, this also died on the vine as the found footage aesthetic was on its way out. Eventually, the studio thought that television might be the best way to reinvigorate the property. Although, their idea was a big conceptual leap: Crystal Lake was a real place where a killer named Jason Voorhees murdered people, but then a sleazy filmmaker made a movie based on it and it became a cultural behemoth. It almost sounds like a riff on New Nightmare, and maybe there was a compelling direction to take such an idea in, but it stalled out and hasn’t gotten off the ground since. The last attempt at reenergizing Friday the 13th actually sounded like the best one yet. It would’ve been a period piece set during 1975 and 1980. The story would have illuminated Jason’s upbringing with his mother and father. Yes, this would’ve finally shown us Papa Jason, a character that almost popped up in Jason Lives: Friday the 13th Part VI. After a new spin on Jason’s drowning, Jason would have been telepathically connected to his mother and aided her in getting revenge for his supposed death. After her demise, the film would jump forward five years and have Jason seeking retribution for his mom’s murder. This take was supposedly going to be influenced by the tone of It Follows. That sounds like a great inspiration, but we’ll sadly never see this version. Guess it’s back to space for us. 20th Century Fox has always treated the Alien films as prestige pictures. The series only dipped into schlocky fare with the widely-derided Aliens vs. Predator: Requiem, but the studio learned their lesson and went back to letting Ridley Scott make massively budgeted sci-fi epics. However, there are a couple of Alien movies that might have been even more grandiose in their ambitions than Scott’s desire to see two Michael Fassbender’s on screen at the same time. The most infamous unmade Alien film is the one that got closest to production: Vincent Ward’s Alien 3. Though many of Ward’s cast and sets were repurposed for the film David Fincher ended up helming, Ward’s take on a continuation of James Cameron’s Aliens would have been the most radical entry in the entire series. Ward’s premise was essentially the same: Ripley crashlands on a planet with an all-male populace. Newt and Hicks still would have died in the landing, and Ripley still would have been impregnated with the embryo of a Queen Alien. The twist comes with the setting of the film: it was to be an enormous wooden planet run by a devout sect of technophobic monks. When Ripley arrives, the head of this secluded order believes she’s a temptation sent by God to test the celibate monks. She gets thrown into a dungeon until they can decide what to do with her. Of course, another Alien gets thrown into the mix and the monks start to believe that it’s actually the Devil. A lot of these base elements made their way into the finished Alien 3 — the monks became prisoners who had become mostly religious — but the core concept of a planet that was a Medieval throwback was shelved completely. Maybe it would have been the kind of outrageous departure the series needed, but it was scrapped when the producers lost faith in such an outlandish approach. The other notable canceled Alien sequel was the one Neill Blomkamp was involved in. The District 9 director was planning to restart the franchise in a brazen way by ignoring everything after Aliens. 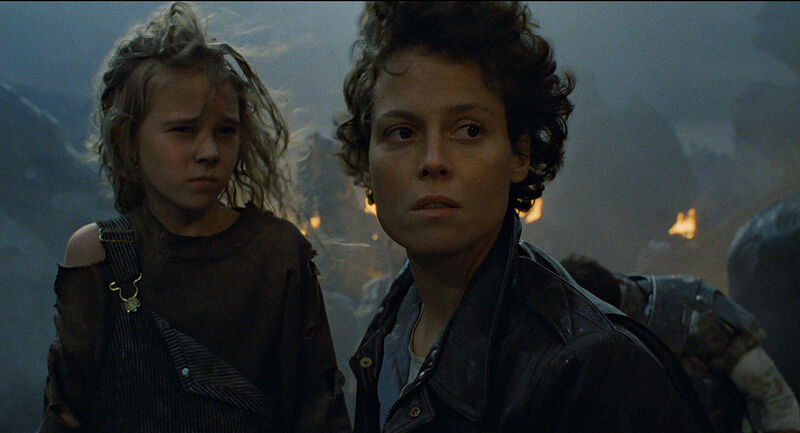 He planned to have Sigourney Weaver return as Ripley — the two had worked together on Chappie — and explore Weyland-Yutani, the nefarious company that was behind all the previous encounters with the Alien. While it’s unclear if Blomkamp wrote a short treatment or a full script, his concept art has fueled many theoretical fires as to where the story could have gone. Here’s hoping it makes its way to a comic adaptation. Freddy Krueger has never really left our dreams after becoming a bonafide boogeyman with Wes Craven’s A Nightmare on Elm Street. Robert Englund’s deliciously devilish portrayal of the Springwood Slasher kept audiences coming back for more, but by the time the sixth installment was in development, New Line Cinema felt that it was time to bury the claw and sweater for good. 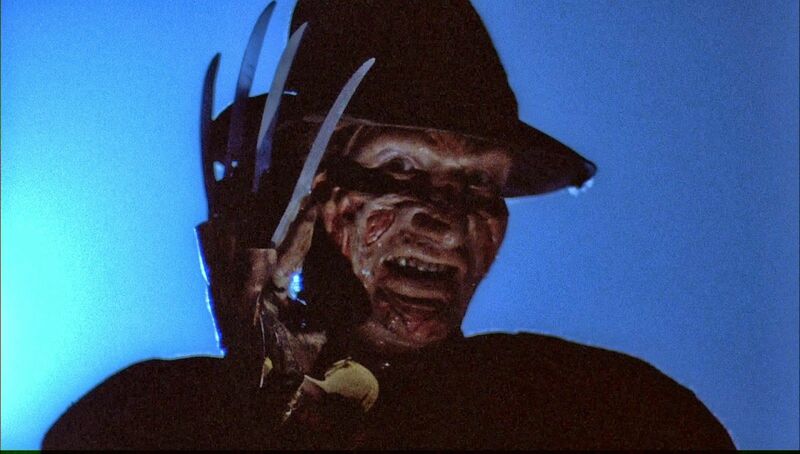 A number of different writers were involved in pitching stories that would act as the swan song for Freddy, but one young talent rose above the others and nearly got the chance to kill Krueger: Peter Jackson. The imaginative New Zealander had made a splash with his over-the-top films Bad Taste and Meet the Feebles, and New Line was interested in seeing what he could bring to the table. Jackson’s take was a very self-aware one. Titled The Dream Lover, it set up the idea that the teenagers of Springwood knew about Freddy and were no longer afraid of him. In fact, it was something of a pastime for them to take sleeping pills and enter the dream world to beat up Freddy. Because he was no longer feeding off the town’s fear, he’d become a decrepit old man that was slowly dying. Being so forthright with some meta-commentary about how Freddy was perceived as a pop culture icon definitely calls to mind what Wes Craven eventually did with the villain in New Nightmare. Naturally, one of the teens screws up during a visit to the dream world and Freddy is able to kill him. This revitalizes the town’s fear and makes Freddy powerful once again. Part of the plot would have involved Freddy getting one of the teens’ fathers stuck in a coma, and the teen would then have to voluntarily enter the dream world to save their dad. Jackson definitely wanted to explore more of the dream world and not just make it an extension of Freddy’s powers. This kind of bigger world-building definitely lines up with where Jackson’s filmography would be headed. Sadly, New Line decided to go a less daring route with Freddy’s Dead, an outright comedy that didn’t quite pack the punch that audiences were hoping for with Freddy’s final (yeah sure) outing. Still, it was this failed project that led to Jackson getting his foot in the door with New Line, and that pairing gave us The Lord of the Rings films. Maybe that was the point of Freddy’s sacrifice. Thanks to Jason Blum, Danny McBride, and David Gordon Green, Michael Myers is back on the big screen and we couldn’t be happier. 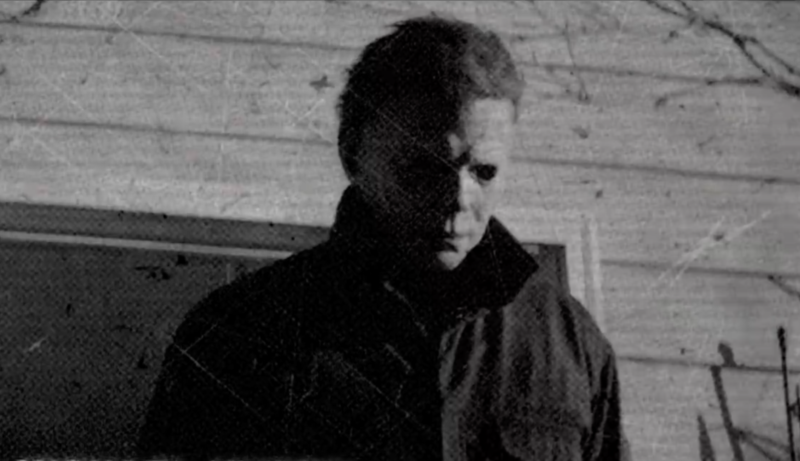 The masked killer kicked off the slasher boom and the original Halloween still stands as one of the greatest horror films in cinema history. Over the franchise’s 40-year history, a number of potential sequels were tossed around. There was even a plan to abandon Michael Myers and turn the series into standalone tales. This was supposed to kick off with the (finally appreciated) Halloween III: Season of the Witch, but the initial backlash to that movie meant that the producers had to resurrect Michael. After an attempted return to form with Halloween H20, the series dovetailed into ridiculousness with Halloween: Resurrection and Michael went back to sleep. That is, until screenwriters Patrick Melton and Marcus Dunstan — the duo behind Feast and Saw IV through Saw: The Final Chapter — decided to resurrect Haddonfield’s most memorable citizen in Halloween Returns. Their idea centered around ignoring everything after Halloween II and refocusing the story on two teenagers whose parents were connected to Myers’ original rampage. One teen was the son of one of Myers’ victims and the other was the daughter of a police officer who had become obsessed with Myers’ case. When Myers is put up on death row, the two hatch a plan to sneak into his execution to witness his death. How do you sneak into an execution? Beats me. Well, who would have guessed that something goes wrong with the execution and Michael escapes. Commence the stabbing! This sounds like it might have been a good way to recalibrate the mythology to line up with the first two films, but it never quite lined up with what the studio wanted to be a full-on kickstart to a new era of Halloween films. However, Michael might have really gone off-the-rails if a planned crossover with Pinhead had happened. No joke! About a year before Freddy vs. Jason was released, a Halloween vs. Hellraiser idea was percolating with Clive Barker potentially writing the script and John Carpenter interested in directing. The studio got cold feet because they thought Freddy vs. Jason wasn’t going to be a success. Once it was, the project was on the fast-track but the producers of the Halloween films decided to back out. No concrete story details ever leaked for this monumental match-up, but we’ll just keep hoping we get an exhaustive horror fighting game that scratches that itch. Of all the '90s horror movies, Candyman has proven to be one of the most resilient and iconic. Tony Todd’s portrayal of a tragic ghost got the series up to three entries, but then the character went into hibernation and never re-emerged. Even though he’s stayed on the shelf, there have been quite a few tries at bringing him back. The most straightforward sequel was going to take place at a New England all-girls college and be centered around a professor who discovered that she was a descendant of Candyman. This lines up with the other two sequels which both involved women who were distant relatives of Candyman. If rumors are to be believed, it was going to be a bigger production that the previous films with a strategy to really push Candyman 4 as a more prestigious sequel. A more fascinating sequel would have been director Bernard Rose’s proposed follow-up to his original film. Rose wanted to take inspiration from Clive Barker’s original short stories — Candyman was based on Barker’s “The Forbidden” — and adapt “The Midnight Meat Train” but replace the main character with Candyman. It would’ve relocated the action to London and involved Candyman being part of a demonic conspiracy that involved the supernatural founders of the city. If that doesn’t sound wacky enough, hold onto your butts. After Freddy vs. Jason decimated the box office, the studio considered making Candyman vs. Leprechaun. Which, what? That’s so insane that we would love to have seen it, but maybe not for the noblest of reasons. Luckily, or unluckily, Tony Todd refused to be involved in the project and it didn’t get much farther than that. We’re working on some way to visit the alternate universe where this got made. As you’ve seen, Freddy vs. Jason shaped a lot of potential sequels in the wake of its gargantuan financial triumph. What’s shocking though is that such a box office winner didn’t produce its own sequel. There were countless drafts that left room for a continuation — even one that had the two leads meeting in Hell and being stopped by Pinhead — but nothing ever made its way into production. Although, that doesn’t mean there wasn’t a sequel trying to get made. And if it had, it would have been a flick that horror hounds ate up. The plan was to put one of horror’s greatest heroes in between the two terror titans. 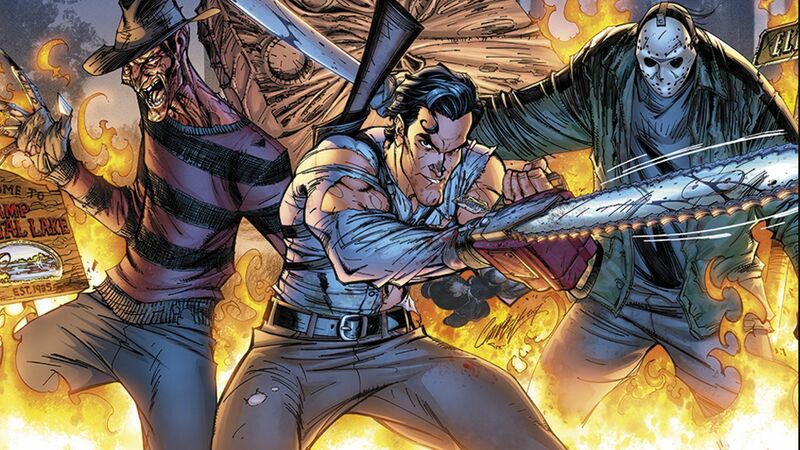 Ash Williams of the Evil Dead series was going to be added to the mix. The story would have brought Ash to Crystal Lake thanks to his job supervising the local employees of S-Mart. Can you guess what happens next? Yup, the Necronomicon gets involved and so do Freddy and Jason. The big finale had Freddy using the Necronomicon to resurrect all of Jason’s victims as a na army of Deadites. Who wouldn’t have paid to see that on the big screen? Unfortunately, bringing Ash into the mix made dealing with three different studios too much to handle. It’s not surprising since Freddy vs. Jason took over a decade to finally get made. Thankfully, this is one unmade horror movie sequel that you actually can see! Well, sort of. Wildstorm and Dynamite put out a comic book adaptation of the idea written by James Kuhoric and illustrated by Jason Craig. That’s the closest you’ll ever get to seeing any of these films.